Complete with detachable T-handle. 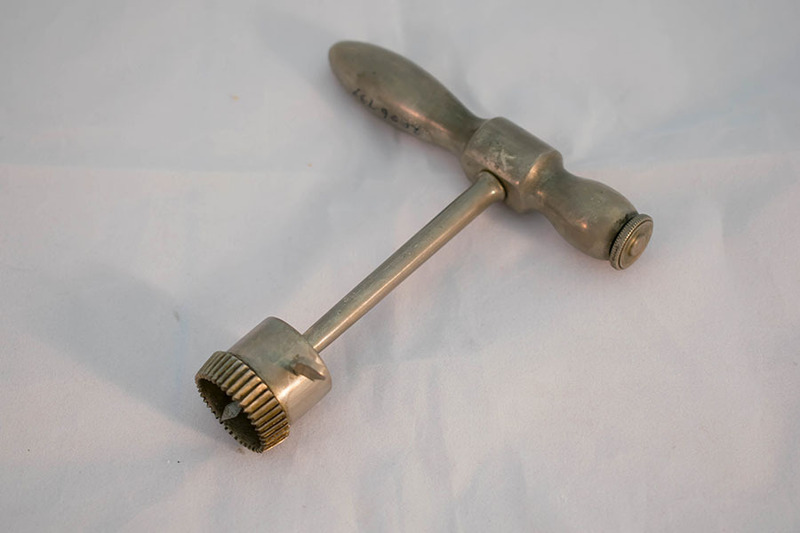 1 inch diameter trephine in this instance, but instrument could be obtained with 1/4 inch, 1/2 inch and 3/4 inch diameter trephines. Nickel plated. 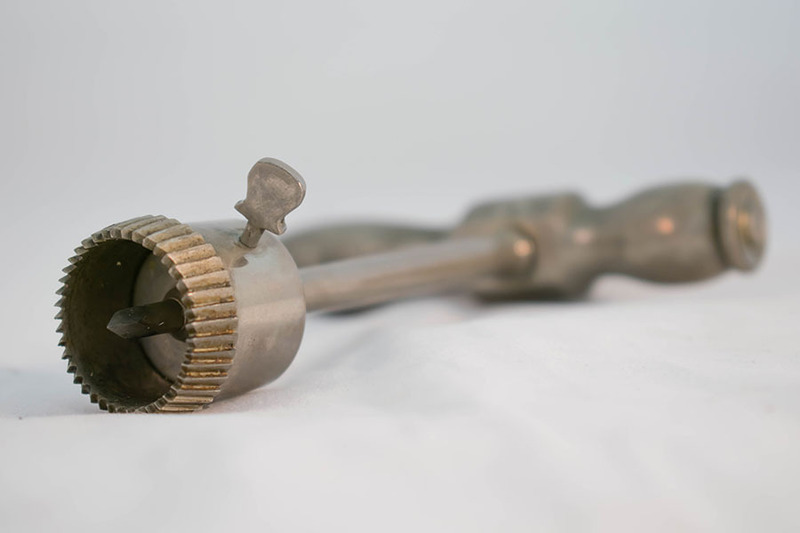 A trephine is a medical device used to burr a hole into the patient's skull. 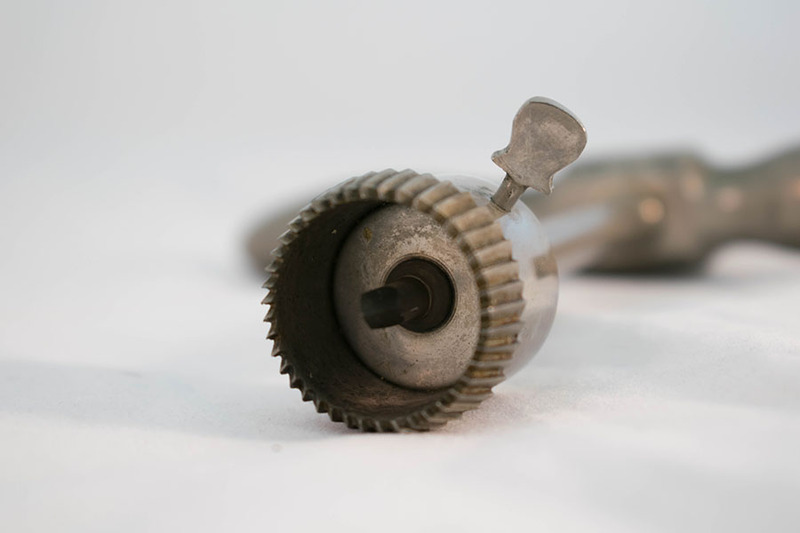 This trephine dates from 1890-1940, and would have been turned manually to make a cut into the skull. This procedure would allow the surgeon to access the brain without removing the entire skull bone. 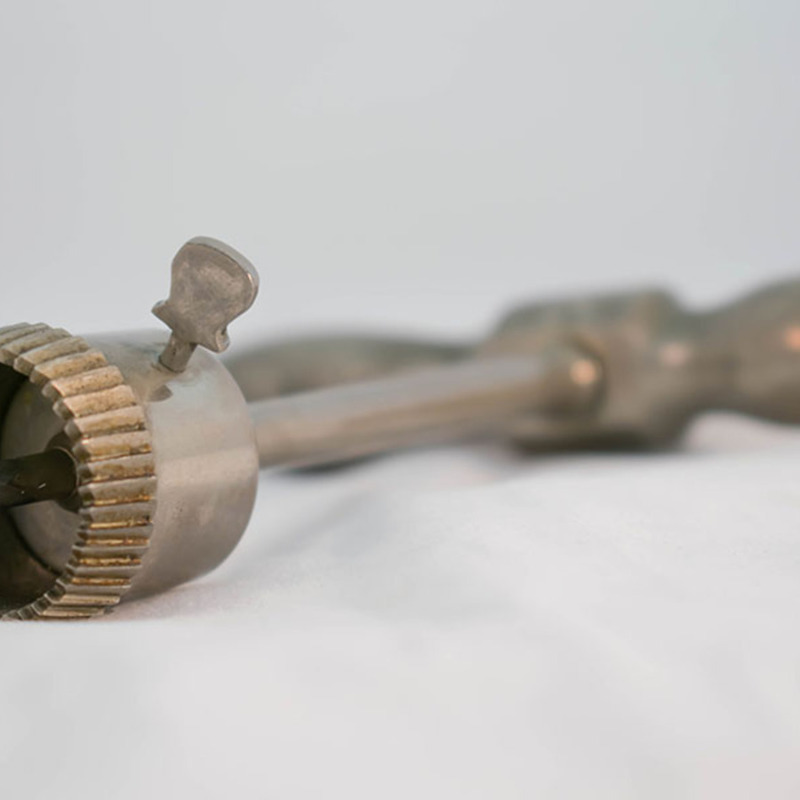 “Horsley's Skull Trephine,” Heritage, accessed April 25, 2019, https://heritage.rcpsg.ac.uk/items/show/113. Description: Complete with detachable T-handle. 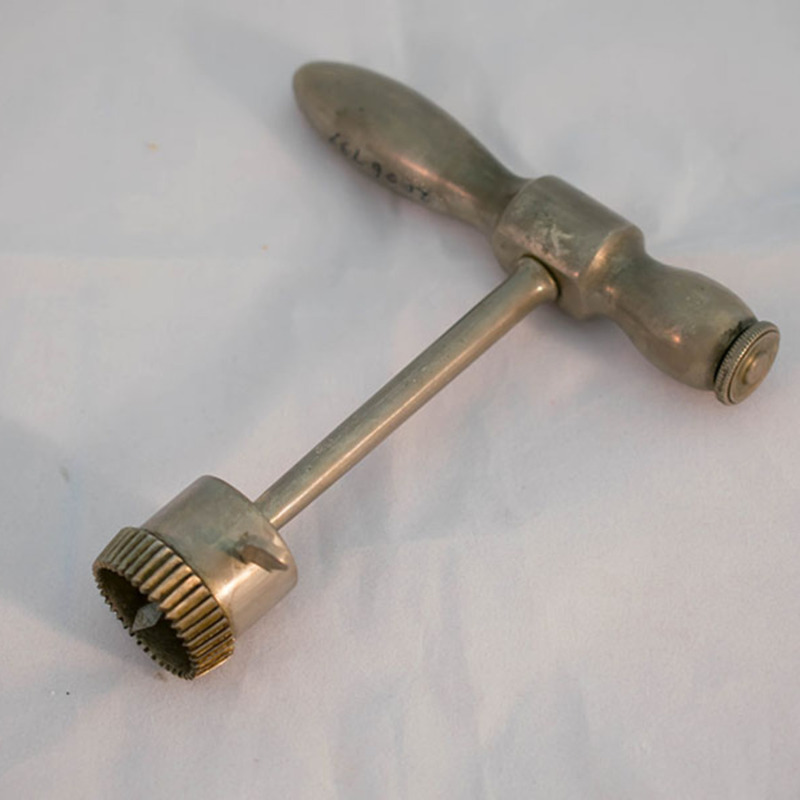 1 inch diameter trephine in this instance, but instrument could be obtained with 1/4 inch, 1/2 inch and 3/4 inch diameter trephines. Nickel plated. A trephine is a medical device used to burr a hole into the patient's skull. 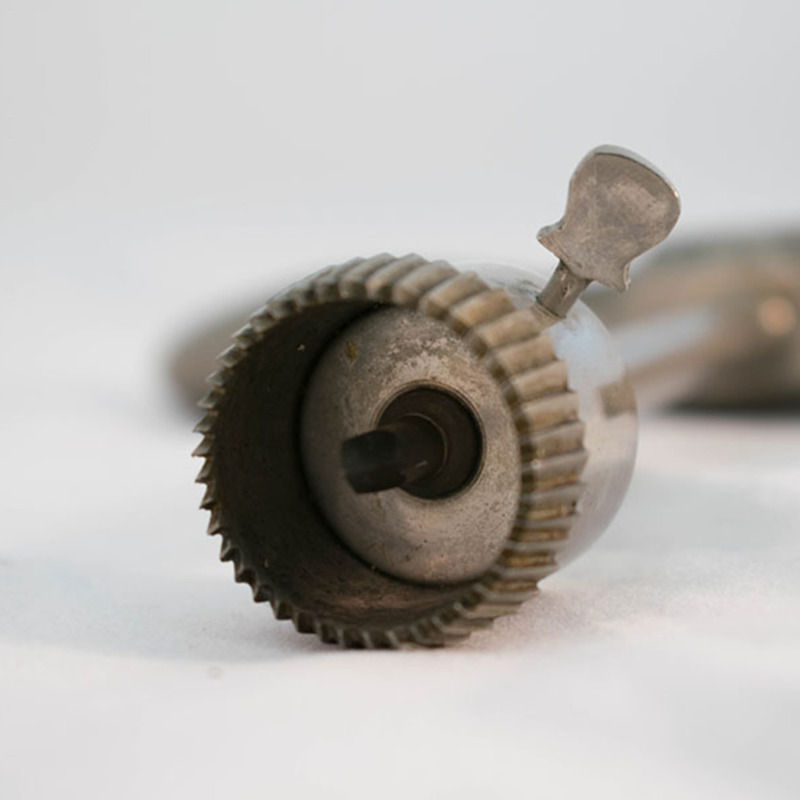 This trephine dates from 1890-1940, and would have been turned manually to make a cut into the skull. This procedure would allow the surgeon to access the brain without removing the entire skull bone.